Makes an unusual but fantastic gift! 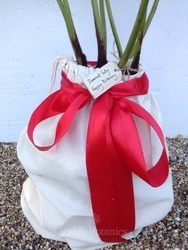 These prehistoric beauties make an unusual gift. 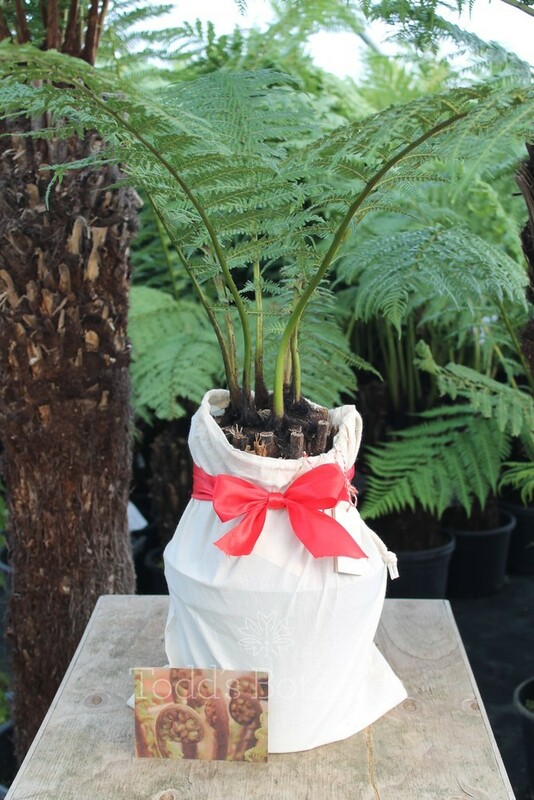 Ethically sourced from the sustainable forests of Victoria, Australia, each tree fern comes with its own 'Department of Sustainabllity and Environment' label guaranteeing it's identity as a sustainably sourced plant. 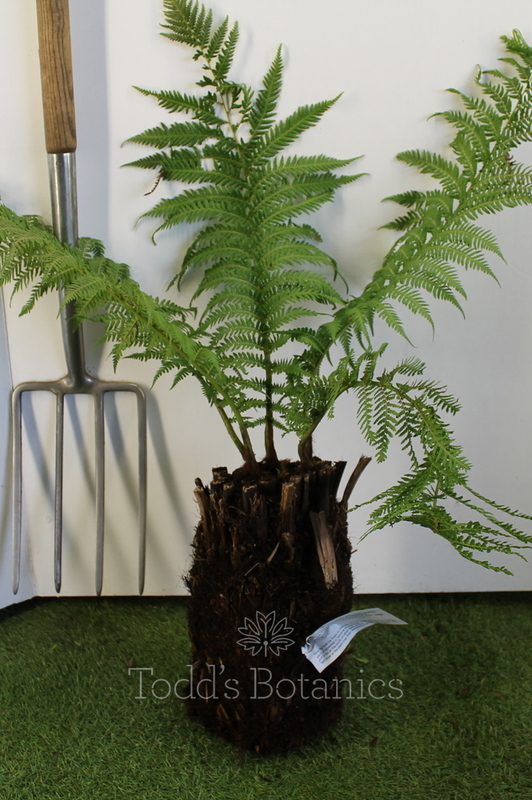 These tree ferns are ideally suited to containers for the patio or courtyard where they look fantastic as a specimen or mixed with other architectural plants in a semi-shaded/fully shaded border. 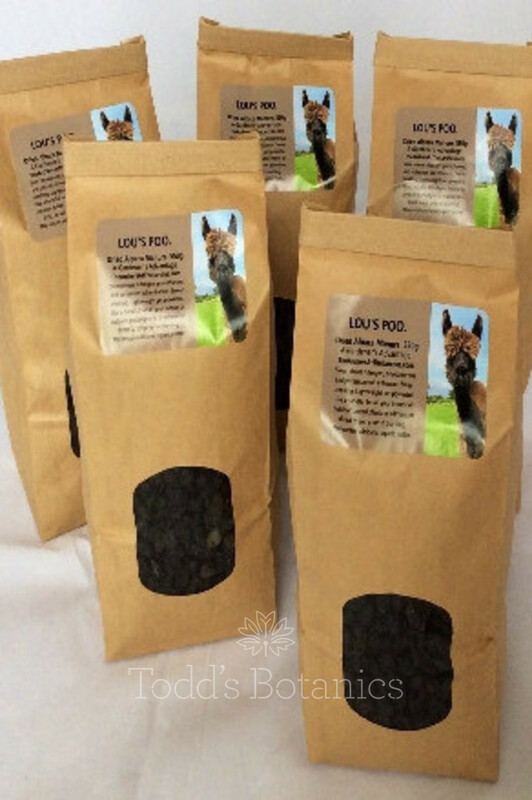 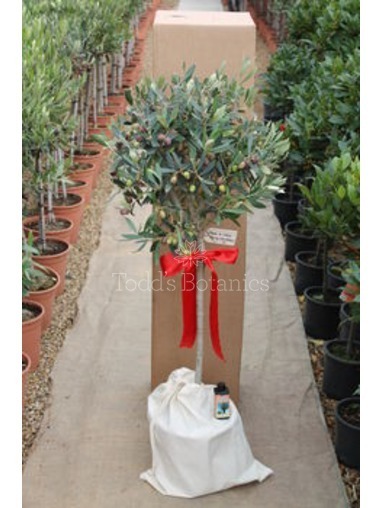 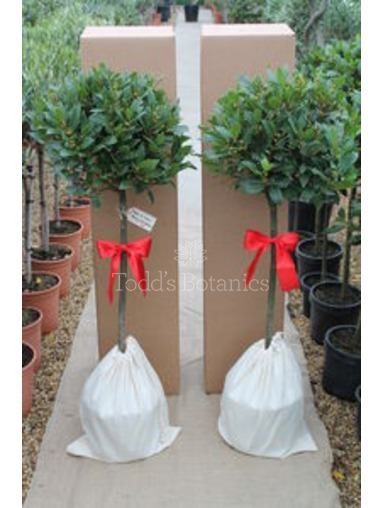 Full care notes included with every order detailing water and feed requirements, pruning and any other specific care. 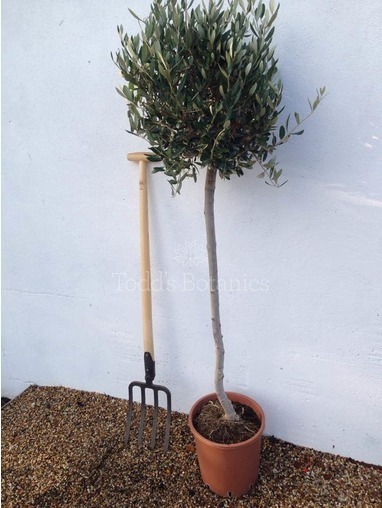 We make it as easy as we can for you! 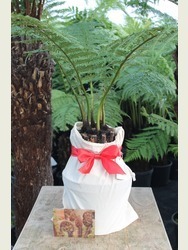 Our tree ferns are available in many different trunk sizes and the leaves can grow up to 1m or more in length! 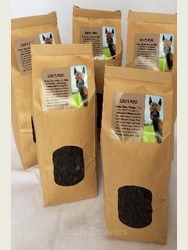 We can handwrite any personal message on to a beautiful wooden gift tag threaded with jute string. 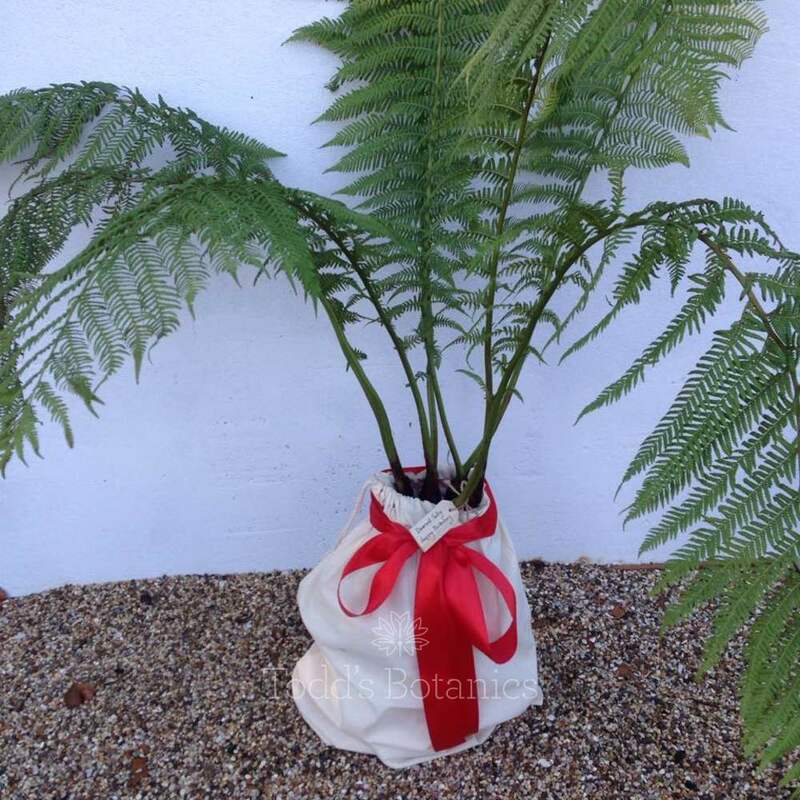 Each fern is dispatched in a lovely reusable calico drawstring bag and decorated with ribbon, then safely packaged before sending. 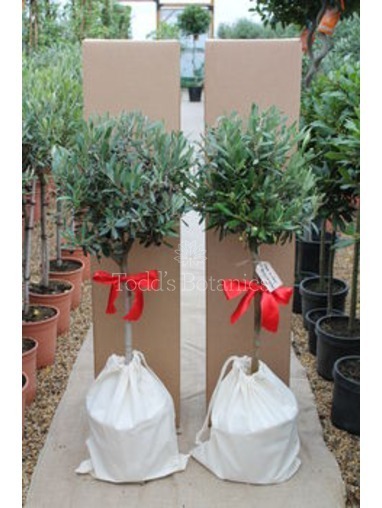 PLEASE NOTE: If the leaves are too large we will remove them before dispatch. 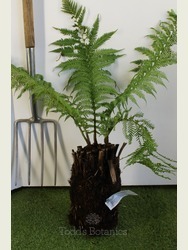 This does no harm as the fronds will re-emerge the following spring. 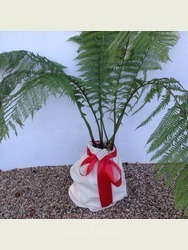 If you need to have more information on the care of tree ferns in winter, especially in colder areas, please see our blog on tree fern wrapping or care notes.